Looking for that perfect blue hue in your hydrangea blooms? This is the fertilizer to get that done. 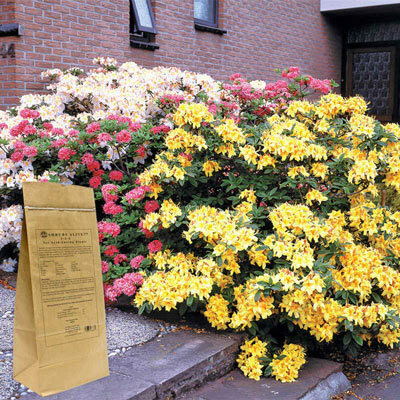 It creates acidic conditions for your soil, which helps you get the best performances out of shrubs like azaleas, rhododendrons and of course hydrangeas. It also promotes a strong root system, and enhances the quality of your soil by feeding micro-organisms that become nutrients for plants. 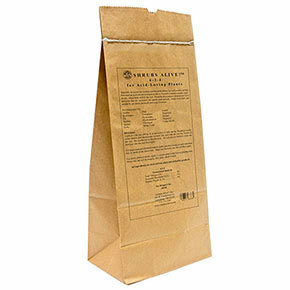 This all-natural fertilizer is from the Alive! series—a flagship fertilizer line from Gardens Alive!. This company has been researching and advancing natural fertilizer formulas since it first opened its doors in 1984. A 5-lb bag of Shubs Alive! for Acid-Loving Plants covers 100 square feet.